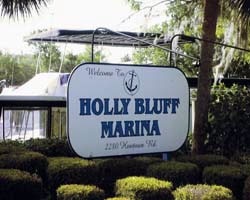 *Grand Lakefront Resort Club USA - Holly Bluff Marina* is located in Deland, Florida! 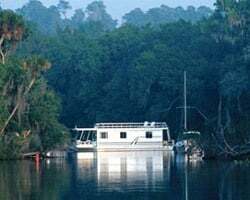 Your wonderful houseboat rests on the St. Johns River, Florida's first tourist attraction! The river is known for excellent fishing, and provides opportunities for canoeing and kayaking, as well as views of exciting wildlife, including alligators and manatees! Marshes, springs, tributaries and the main channel of the St. Johns are all beautiful, offering amazing views and scenery to guests! For more information, please visit www.glrcusa.com. Endless adventures await! Vacation on an impeccable houseboat! Buyer May Receive A Title Fee Credit, Inquire For Details! 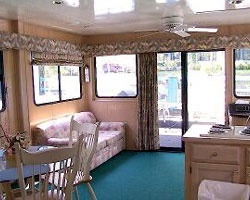 Vacation on a houseboat on the St. John's River! Yearly usage in floating, Red season week! 3 bonus weeks per year! Make an offer! Enjoy each vacation right on the water! Buyer May Receive A Title Fee Credit, Inquire For Details!